I have been wanting to make this recipe for a long time, but then I stopped eating eggs and kind of forgot about it until recently. This weekend I decided to try it out. It only takes 4 ingredients and doesn’t take that long. It is also a good gluten free alternative to bread. Start by separating the eggs. Make sure you don’t get any egg yolks in the egg whites. Add the cream cheese, honey and egg yolks in a bowl and mix until everything is blended nicely. Whip together the egg whites and cream of tarter until you get stiff peaks. 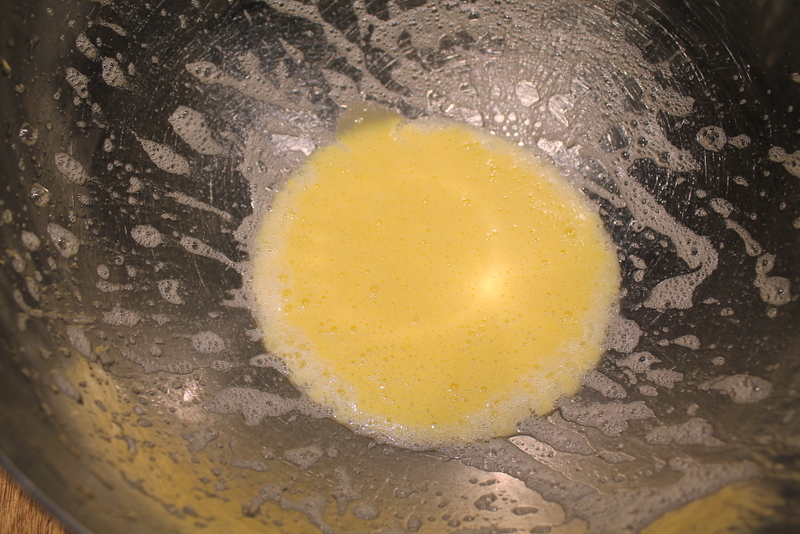 Gently fold half of the mixture with the egg yolks. Then fold in the rest and mix until incorporated. Divide on a parchment paper lined tray. Bake in a 325 degree oven for about 25-30 minutes until the tops are golden brown. Allow to cool on the trays for a couple minutes then transfer onto a wire rack. I got this recipe from https://www.craftsy.com/cooking/article/cloud-bread-recipe/ but I have seen lots of recipes on the internet. My recipe didn’t turn out as fluffy as some but I think it was because my egg whites weren’t as stiff as they could be. I did use an immersion blender and whisk attachment to beat the eggs. I think next time I would try to make the eggs fluffier. The taste is pretty eggy, like a sponge cake. The texture is interesting because it is pretty firm but fluffy in the middle. You could definitely use this for sandwiches or burgers or alone as a snack. It doesn’t replace bread but it is a great alternative. Start by separating the eggs. Make sure you don’t get any egg yolks in the egg whites. Add the cream cheese, honey and egg yolks in a bowl and mix until everything is blended nicely. Whip together the egg whites and cream of tarter until you get stiff peaks. 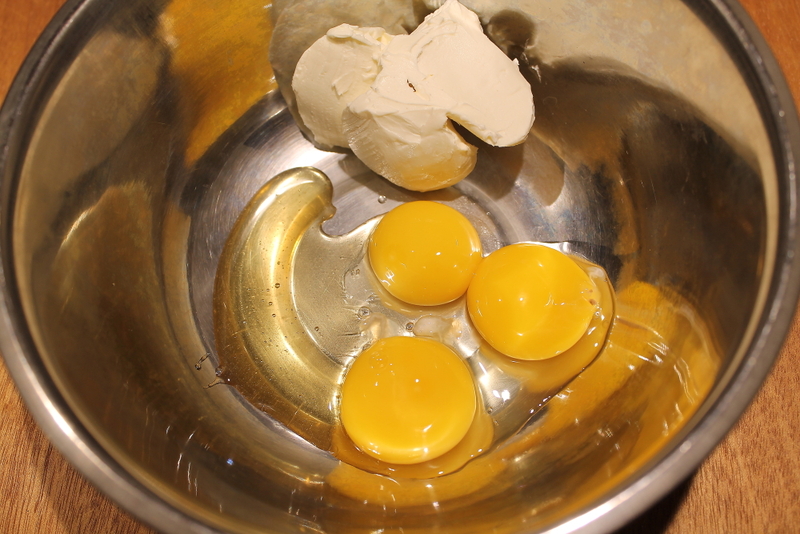 Gently fold half of the mixture with the egg yolks. Then fold in the rest of the egg whites and mix until incorporated. Divide on a parchment paper lined tray. I made 6 because I wanted them a little larger. Bake in a 325 degree oven for about 25-30 minutes until the tops are golden brown. Allow to cool on the trays for a couple minutes then transfer to a wire rack.